Being overweight as well as underweight are undesirable not just for general health but also for fertility. The percentage of body fat adversely affects a woman’s chance of conceiving successfully. Fat cells produce estrogen and hence, interfere with the hormonal balance. Thus, it tends to disrupt ovulation and menstruation. Furthermore, both overweight and underweight women are at a risk of miscarriage. As for men, it lowers the sperm count and the concentration of sperms. In addition, the hormonal imbalance resulting from excess or insufficient weight tends to raise the temperature surrounding the scrotum. Moreover, it alters sperm quality and sexual behavior. 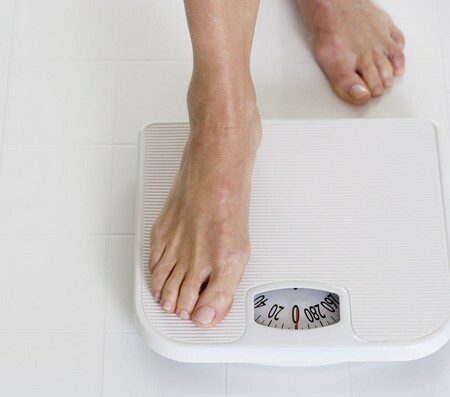 You can calculate your BMI to help find out whether you have a healthy weight or not. Usually, a BMI below 18.5 is considered underweight and BMI above 25 is considered overweight. It is believed that infertility is directly proportional to age. The fertility potential tends to decline in women after the age of 30. In fact, achieving healthy pregnancy becomes even more difficult after 35 years of age because of chromosome abnormalities, ovulation issues, fewer good quality eggs, etc. It increases the probability of having non-identical twins, too, due to overproduction of follicle stimulating hormone (FSH). Similarly, men are likely to be less fertile after 40. The best age for a woman to conceive is between 20 to 24 years. As a woman ages, the eggs lose their ability to fertilize and implant. In addition, the endometrial lining also deteriorates over a period of time. The ideal age for men to have children is before 30. As you must have figured out by now, hormonal imbalance is one of the most important causes of fertility problems. It is often associated with ovulation disorders, Polycystic Ovary Syndrome (PCOS), abnormal cervical mucus, premature menopause, and glandular problems. Besides, factors like chronic stress, anxiety, and depression also tend to affect fertility by causing hormonal imbalance and increasing the chances of complications like miscarriage and premature birth. Smoking affects fertility negatively in men and women. It reduces the amount of estrogen that the body produces and is associated with higher risk of miscarriage. In addition, it may lead to vaginal dryness and problems with the fallopian tubes. Cigarette smoking also contributes in destruction of eggs before they reach maturity and increases the chances of premature menopause. In males, smoking increases the risk of infertility due to low sperm count, sperm motility problems, erectile dysfunction, and so on. It is believed that having more than two drinks in a day can contribute in reducing male fertility. Similarly, researchers have found that having five or even fewer drinks in a week can decrease the chances of fertility in women. Moreover, it increases the risk of birth defects in babies. Alcohol intake impairs reproductive function as it affects ovulation and hormone production. In addition, it is toxic to the sperm producing cells. In women, chances of achieving pregnancy can be reduces due to untreated chlamydia leading to pelvic inflammatory disease, thereby causing blockages to fallopian tubes. Furthermore, endometriosis, uterine fibroids, PCOS, sexually transmitted diseases, and other similar conditions may also cause the same. Besides, insulin resistance affects sperm development in men. Plus, autoimmune diseases such as lupus, thyroid disease, diabetes, rheumatoid arthritis, are also detrimental for reproductive health. Medications like antibiotics, antidepressants, painkillers, steroidal drugs, medicines used for chemotherapy, and so on may contribute in causing temporary infertility. Certain drugs tend to impact the sperm health adversely and may interfere with ovulation. Although exercise is considered good for health, excessive strenuous exercise is not because it is likely to disrupt the ovulation in women and sperm count in men. Besides, though not proven completely, factors like wearing tight shots, taking long sauna baths, working in a hot environment, even working on the laptop while keeping it on your lap for longer durations are believed to affect male fertility negatively by decreasing sperm count and motility.